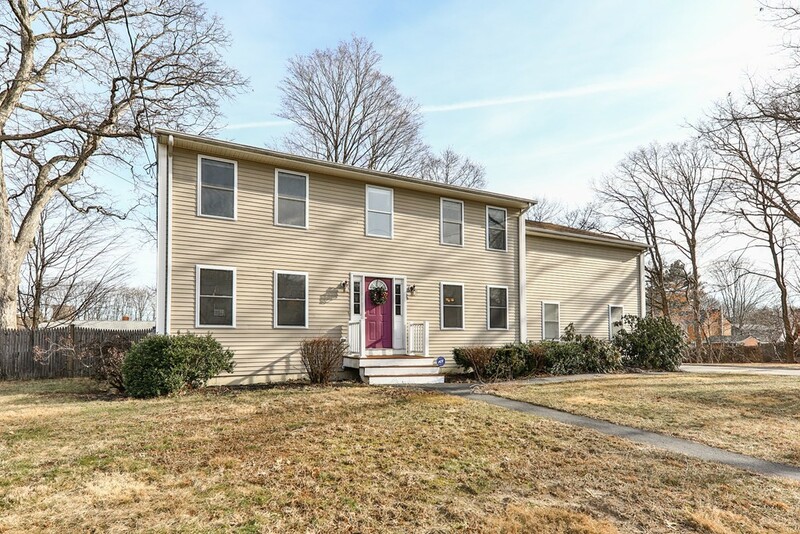 Youll love this stunning two-story home located walking distance to center, park, outdoor skating, butcher shop, town pool, stables a mile away and more. Beautiful tiled eat-in kitchen, white cabinets, new granite counters and an island, opens up to family room and sliders to a large deck overlooking large level fenced in yard. 1st floor also has a formal living room and dining room with gleaming hardwood floors as well as a tiled half bath. Upstairs has 4 rooms, 3 bedrooms and an office, was a 4th bedroom with closet and a large master suite with 2 walk-in closets, beautiful. Finished basement with a media room down, unfinished area and laundry room. updated heating system, 4 zones, central A/C, 2 separate units, town water and town sewer. Don't miss this wonderful opportunity. Why are you still reading this? ACT NOW! its easy to show, just need some notice.